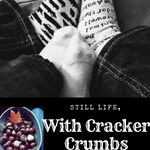 My Grandma’s Coconut Tarts | Still Life, With Cracker Crumbs.. Note: This is a repost from two years ago – it was originally published on my old blog, Quixotic Magpie. 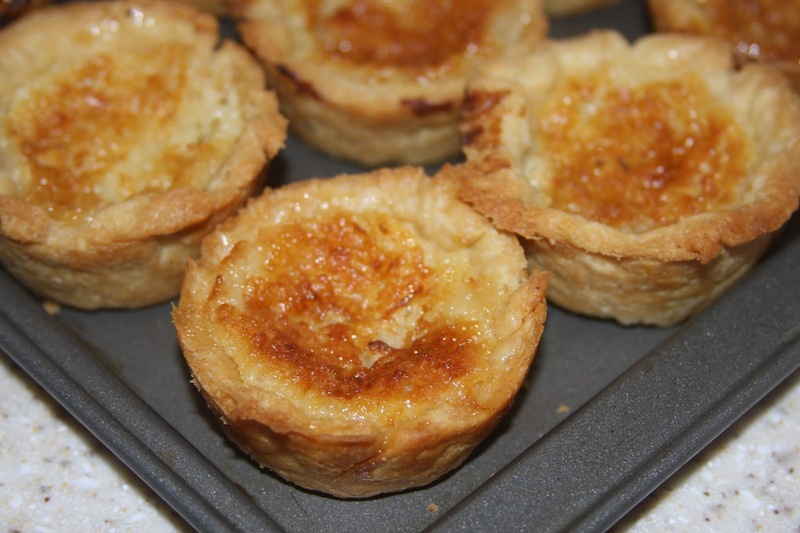 But as I recently made Empire Biscuits with my mom and sister-in-law, I thought I would give these tarts some love. My family is divided into two camps: The Coconut Tart people, and the Empire Biscuit people. Don’t get me wrong, we will gladly eat either/or, but..we have a preference for one or the other. I love a good Empire Biscuit, but Coconut Tarts are my weakness. My grandma made them every Christmas and it was the dessert I looked forward to the most. My grandmother is gone now, but my Uncle Art has taken up the mantle, and baked the tarts for the holidays. 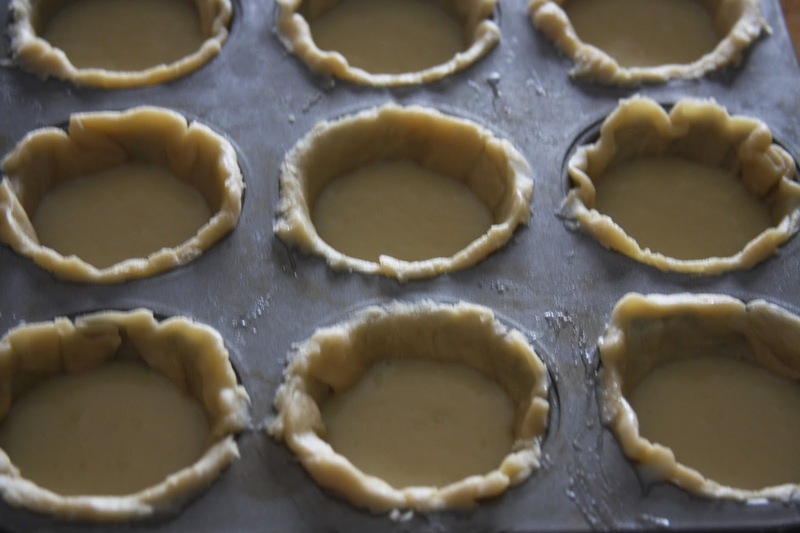 Yesterday I spent some much needed time in the kitchen, learning how to bake these tarts. I have decided to share my love for these with all of you! Just note – I am not a baker, nor am I a food blogger. Lol. 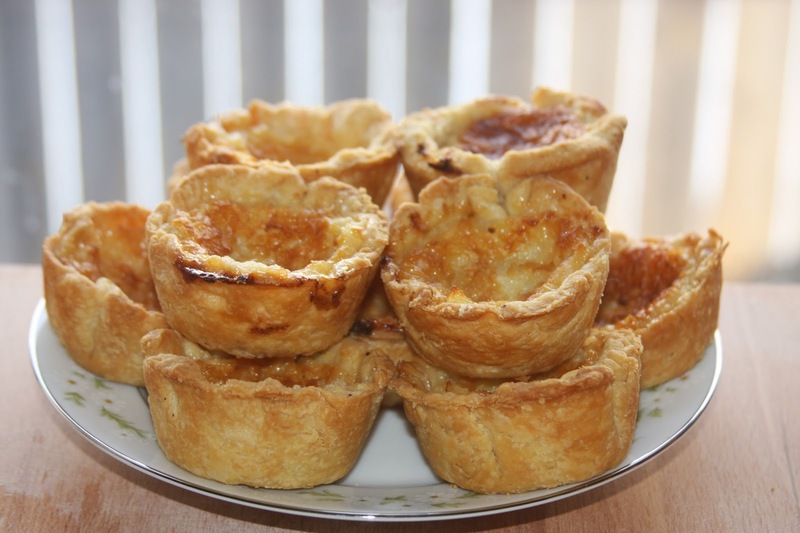 My tarts look a little more rustic than professional – I have not managed pretty food yet, just yummy tasting! Because these turned out awesome in flavor, if I do say so myself. Surprisingly, these are not a health food! 🙂 They are fattening and delicious! We made the filling first, but I don’t think it matters which you start with. It was easy! Basically, just combine all the above ingredients in a bowl, and whisk until everything is mixed really well. You want to make sure you really incorporate the sugar, it has a tendency to want to sit on the bottom. 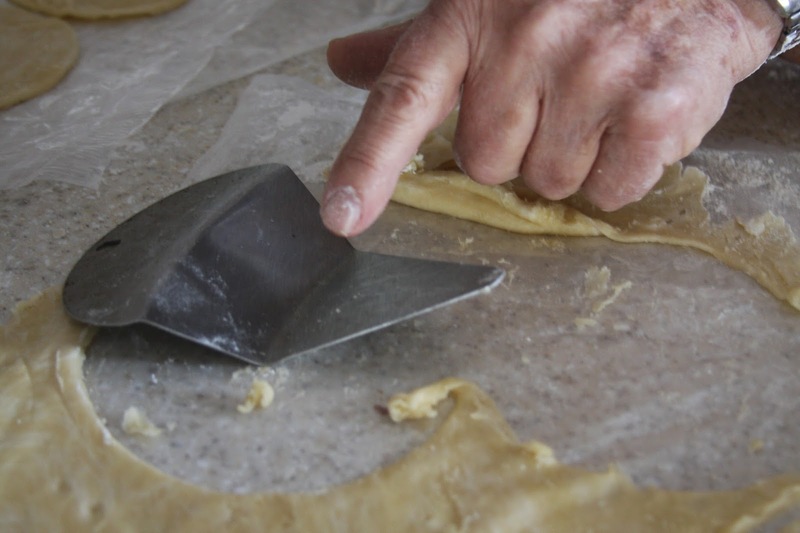 Next we made the pastry- this was a little bit more complex but not too terribly difficult. I just really hate getting my hands dirty. Bleh. You start by adding all the ingredients together in a medium to large size bowl- we used a vintage Pyrex one which I am sure was not bought vintage like mine were. Then I cut it in the Crisco using a pastry cutter. 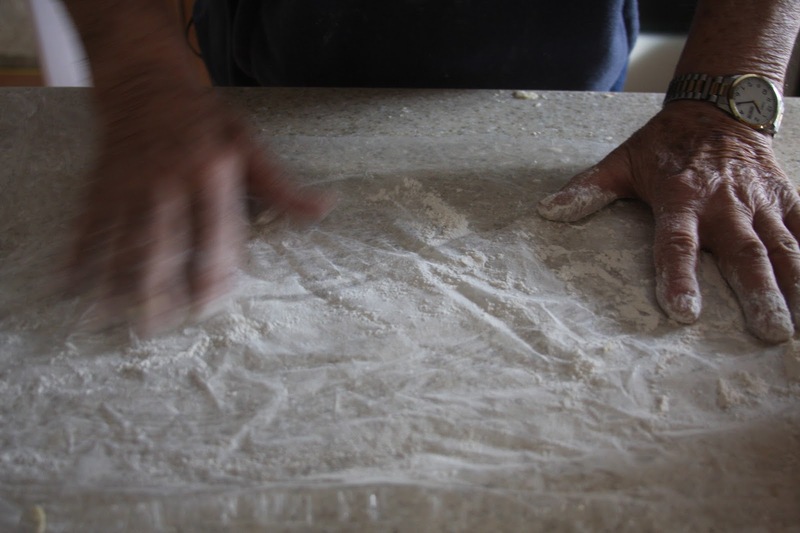 Once this was all cut in well, my uncle showed me the next technique, of making the dough all crumbly. I am not sure of the technical terms, but we called it making it crumbly. This technique involved running it between his hands, using the friction to combine it and make it all crumbled into little balls. 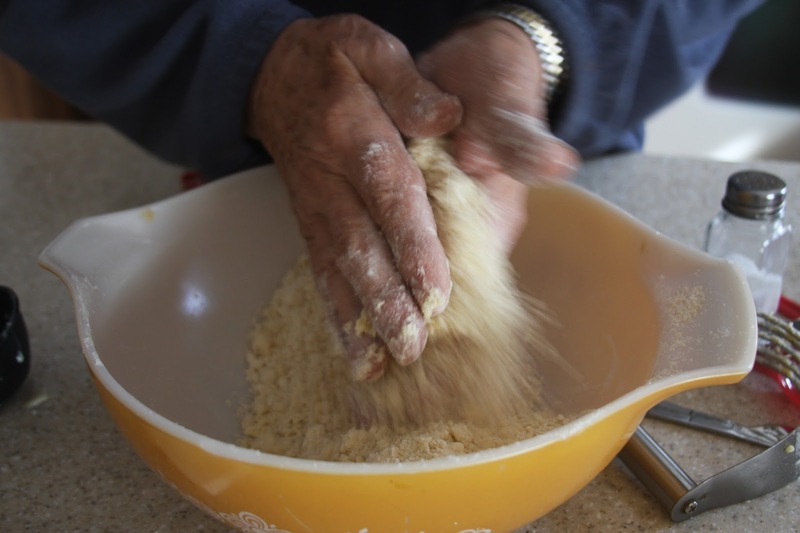 Once the mixture was all crumbly, we could easily roll it all together into a ball. Once we had this nice round ball of dough, we split it into two balls. Next, we placed one of the halves onto a floured piece of wax paper to roll out. 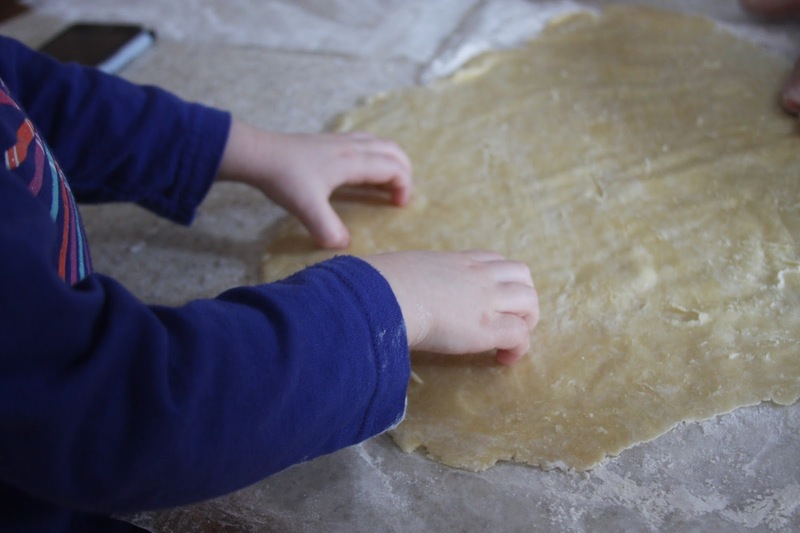 We also put another piece of wax paper over the top of the dough, so it was sandwiched between two floured sheets of wax paper. Then I commenced rolling. You want it nice and thin, but not too thin. Maybe 1/4 inch thick. We had some little helping hands too. My cousin’s three year old daughter assisted me. Once it is rolled out, you can cut circles to place into the muffin tray. I would say the one my uncle used was about 4″ across. He said this was not perfect but it worked for him. So maybe the size of a wide mouth water glass. 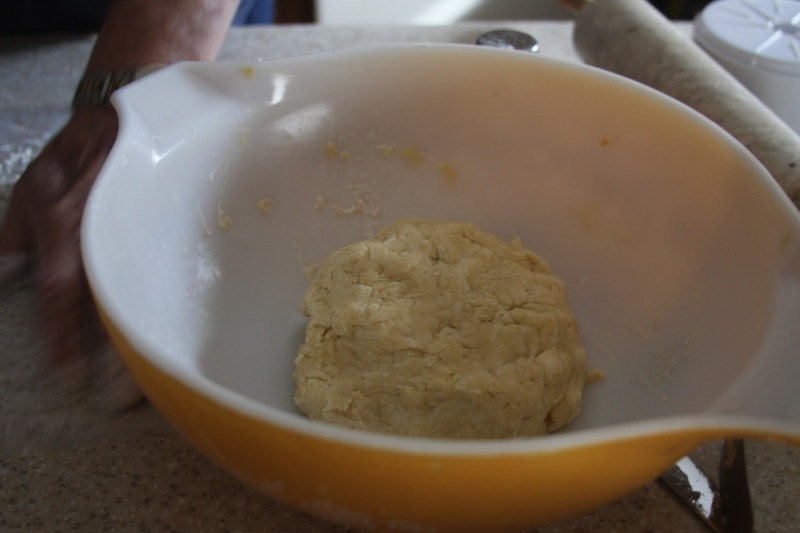 Once you roll out all the dough and have cut the circles, you can start slowly placing them into the muffin tin. This part is the slowest, most laborious part in my opinion. Mine were a bit messy but looked like this when I was done. 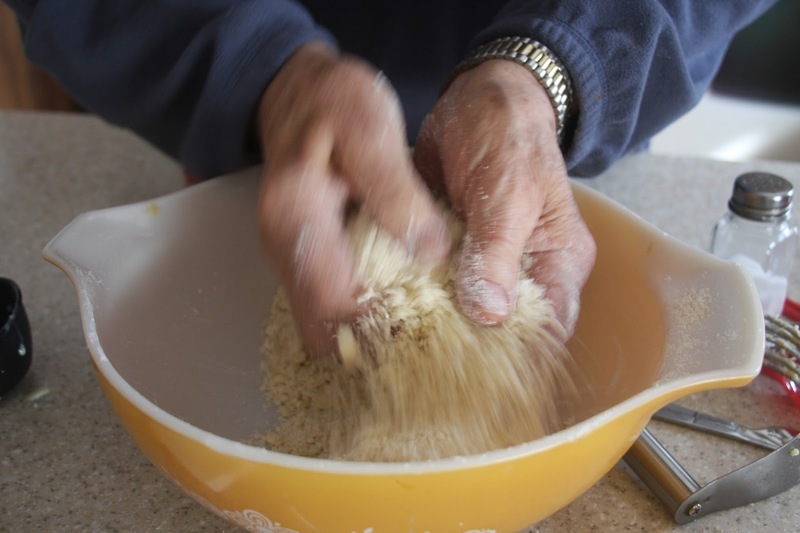 A bit of a trick – instead of using your fingers to press the dough down into the tins and onto the sides, once you have it set in loosely, you can use a small lump of dough as a little press instead of your fingers. Once you have everything ready to go, you are ready to fill! Give that filling a good whisking again to stir up any sugar that may have settled while you did all this stuff with the dough. When finished, add about 2 TB filling to each tart. This is entirely up to you, how much is added. I just wouldn’t suggest all the way to the top, because then they will overflow during cooking. Pop them into the oven for about 15 minutes (12-17, but we did 15) until the dough is a nice golden brown, and the filling has a nice golden color as well. My uncle then covers his with a dish towel for a few minutes to trap the heat a little longer without baking. Once they cool, enjoy! Perfect with a milky, sugary cup of tea. Yum! And that is all there is to it! I hope I did an ok job explaining this – I didn’t realize how difficult it was to write down a recipe that is mostly conveyed by look and feel in our family. If you try to make them, let me know how it goes! Ooh, how neat. I love that you were learning how to make them. I like coconut.